Women will achieve an equivalent economic standing to men. Who Owns Pink Link Pages? Pink Link Pages is a Division of FemmeSpeak, LLC. The mission of FemmeSpeak! is to connect and empower women. You can learn more about FemmeSpeak! at www.femmespeak.com. There are more than eight million businesses in the US owned by women…representing twenty-nine percent of all businesses in the US! In fact, women are growing businesses at twice the rate of men-owned businesses. However, these women-owned businesses produce only 4% of all business revenues and women-owned businesses employ only 6% of American workers. Women-owned businesses are so small that 80% of them create receipts of less than $50,000 annually. In the corporate world, less than 3% of Fortune 1000 businesses employ a woman as CEO. 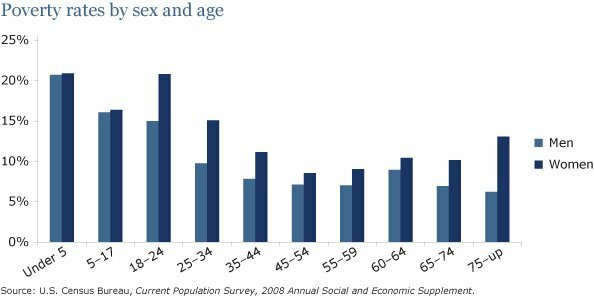 And, while there are now more women graduating from college than men, women still live much more impoverished lives than men at every stage of life. What can be done to improve women’s economic standing? Business ownership and promotions to higher positions in corporate America are two ways that women can improve their general economic status. 3) More say in political discussions regarding issues related to women in the workplace (like equal pay and family leave). 3)Increased political standing especially with regard to issues related to women in the workplace. How can a directory of women-owned businesses help? Women have more power than they realize! Women buy 80% of all goods and services in the country. Therefore, if women gave preferential treatment to women-owned and operated businesses when they make their buying decisions, they could make a significant impact to help the economic status of all women. 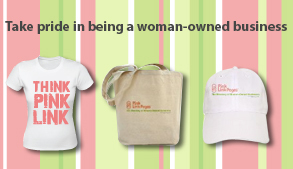 Pink Link Pages is your resource for knowing which businesses are owned by women! NOW, YOU ARE THE SOLUTION! The next time you go out to make a purchase, check first with Pink Link Pages to see if a woman owns a business that provides the goods or services you need.